BRIAN HEAD — A live quaking aspen caught on fire Sunday night after the moist ground gave way beneath it, and it landed in a set of power lines near the westbound travel lane of state Route 143 at milepost 12 in Brian Head. Brian Head Public Safety — comprising fire, police, and emergency medical services for the community — responded to the fire at 8:47 p.m., said Jared Burton, Brian Head Public Safety public information officer. The ground along the embankment is moist and heavy, Burton said, adding that the steep embankment leads to a flowing creek below and when the tree began to tumble down the embankment, it was caught in the power lines and ignited. With the recent warm weather melting the snow, he said, the ground has been extra saturated lately, and the soil couldn’t support the weight of the tree any longer and gave way beneath it. 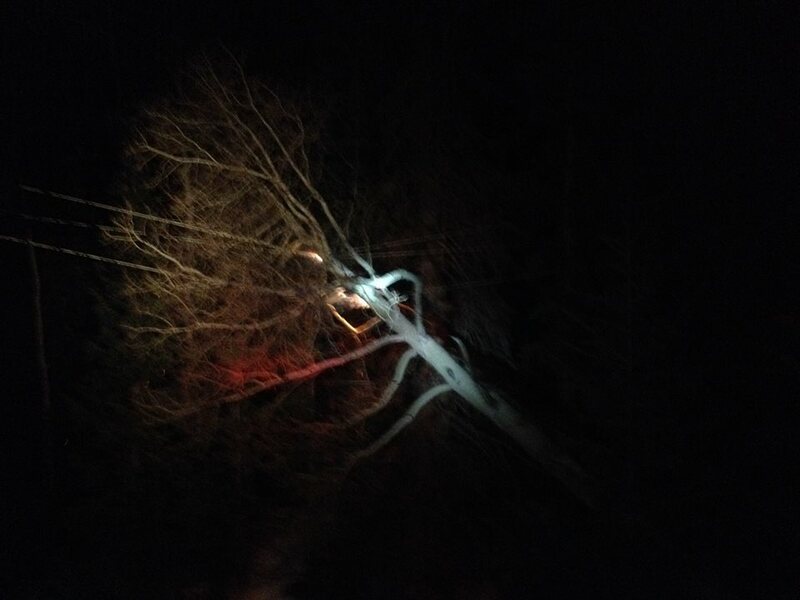 As of 10:45 p.m., the tree was still burning in two spot where live power wires were touching the tree. Burton said when Rocky Mountain Power arrives to cut the power to the lines, firefighters will cut the tree out of the wires. The fire is not a hazard or in danger of spreading, Burton said, because it is in an area covered in 4 feet of snow dangling over running water. Besides being the Brian Head public information officer, Burton is also the captain of the Brian Head Fire Department, an all-volunteer company, so he was able to speak on the incident from that capacity as well. “We’re just keeping people away and keeping traffic flowing through this area,” Burton said.